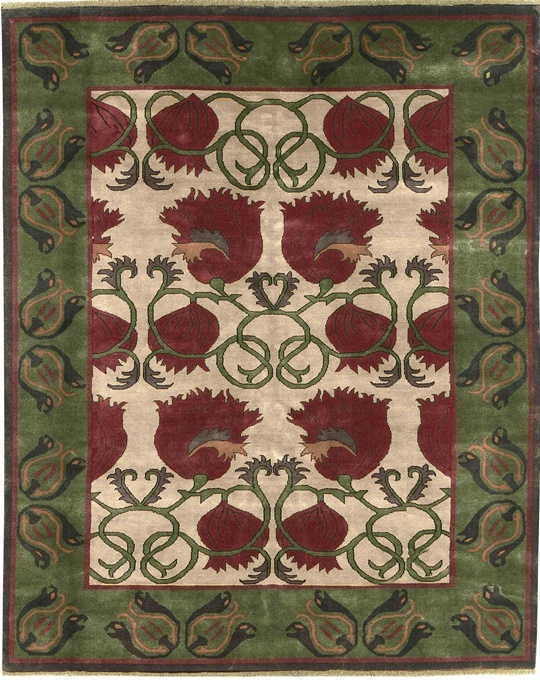 Interwoven rose buds create the delicate symmetry of this design, a complement to the Streatham Park designs. 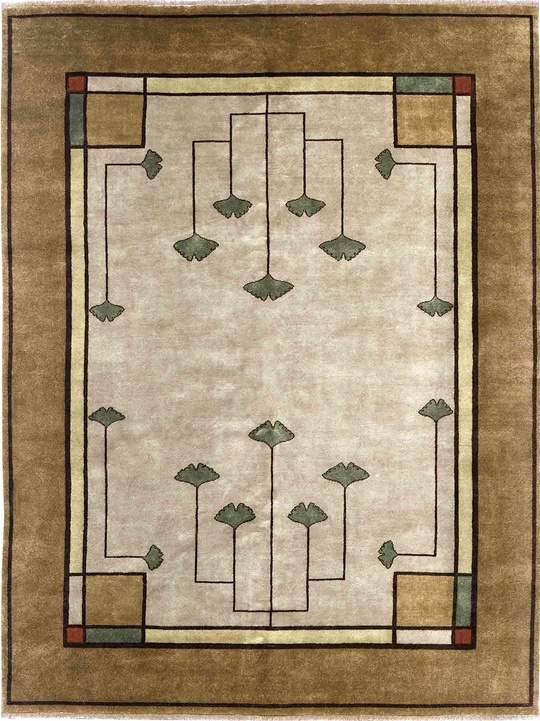 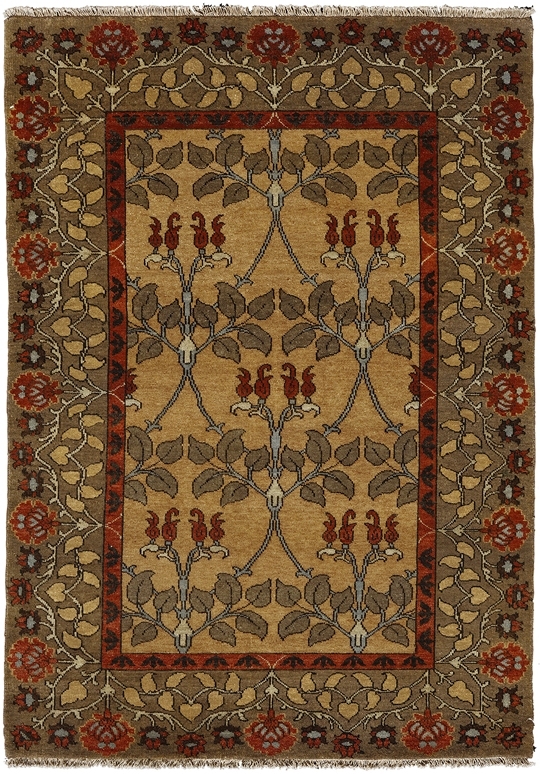 Hand spun wood lends a subtle blending of colors to the rug. 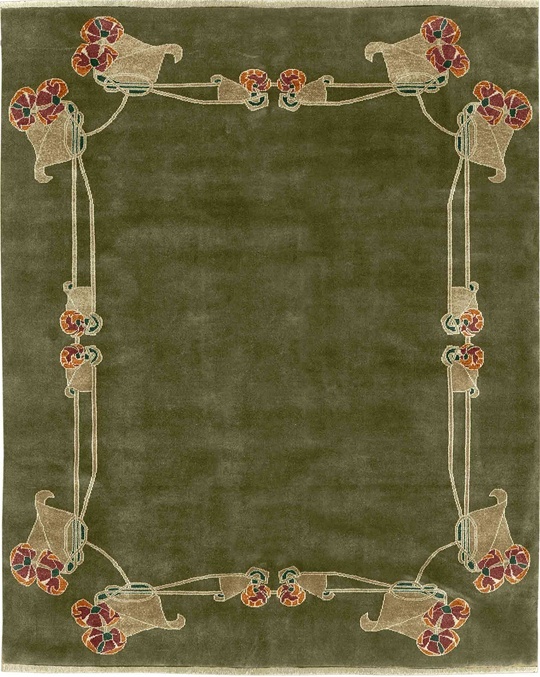 In soft brown border and gold center , with accents in terra cotta and soft grey-blue.